NOV. 30 – UPDATE ON ROAD CONSTRUCTION: THE ROAD ONTO STREMEL (ORCHARD FORD CORNER) IS NOW OPEN FOR NORTHBOUND TRAFFIC. 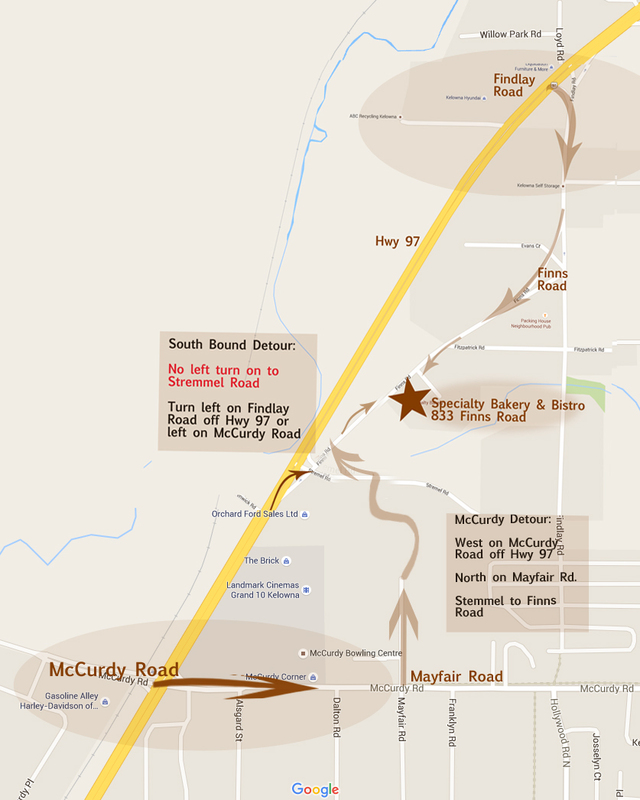 If you are travelling SOUTH from the North, you can use Rutland Road, and turn at Fitzpatrick, or you can stay on Hwy 97 and go to McCurdy Road and turn left, turn left again onto Mayfair, left again and back to Stremel. .